Five people were arrested yesterday after attending a commemoration of the 2011 revolution the day before at Karama Party headquarters, according to Arabic Network for Human Rights Information (ANHRI) lawyer Ahmed Abdel Latif. Gamal Abdel Fattah, Mohab al-Ebrashy, Khaled Bassiouny, Khaled Mahmoud and Mostafa Faqir were arrested Sunday evening — the first four from an apartment in Giza’s Hadayek al-Ahram neighborhood, and Faqir in Daqahlia. Their whereabouts are still unknown, Abdel Latif said. The ceremony — organized by the leftist Karama and Popular Alliance parties to mark eight years since the revolution, and held at the Karama Party headquarters in Cairo’s Dokki neighborhood on Saturday — was prohibited by security forces, who raided the event and only allowed attendees to exit after making copies of their ID cards. Abdel Latif told Mada Masr that both Haram Police Station and the nearby National Security Agency building denied holding the five in their custody, although Abdel Latif and his colleagues discovered informally that had been held at Giza Security Directorate, and taken for some time to the Haram Police Station before being returned to the directorate. 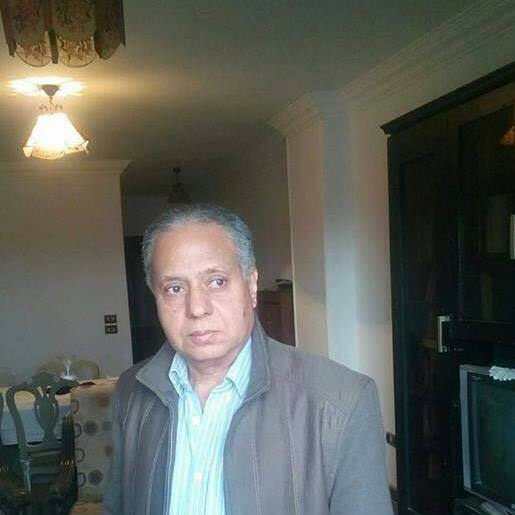 Seventy-four-year-old leftist activist Gamal Abdel Fattah was previously arrested last February on charges of founding an illegal organization and publishing false news, pending Case 482/2018, and released on probation in September. His probation terms include presenting himself at Haram Police Station for an hour every week, and before a criminal court every 45 days to renew his probation. If his current disappearance prevents him from meeting these terms, he could be detained again, according to Abdellatif. In a statement published today the Civil Democratic Movement denounced what it called “repressive acts” against January 25 revolutionaries, calling on the authorities to reveal the whereabouts of the five activists and immediately release them. “The ongoing detentions by security forces without allowing the detainees any of their rights is a clear and repeated disrespect to the Constitution, which guarantees personal freedom for citizens,” the ANHRI statement said.